Set up an an account to buy Vintage Mopeds and Parts Here! Please check in before stopping by to assure that we are there to help you. 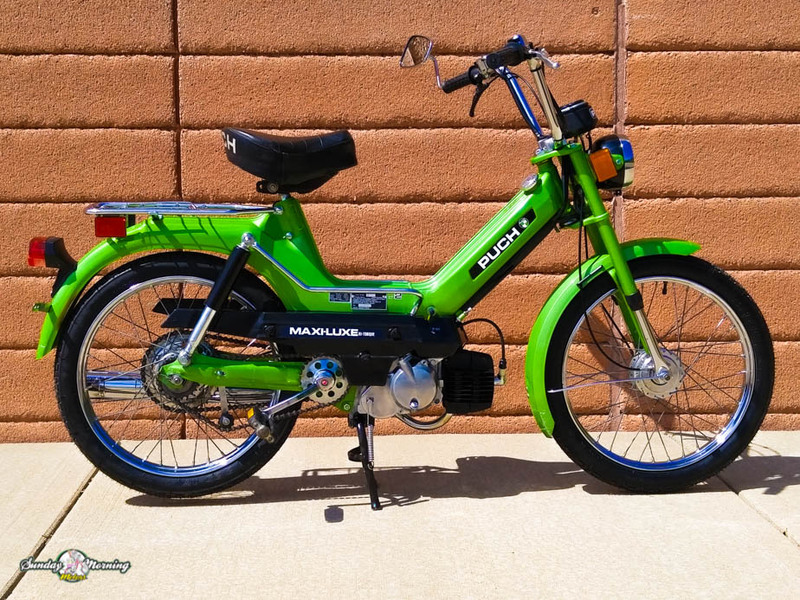 This Puch Maxi Luxe is in Excellent cosmetic condition and mechanically perfect. 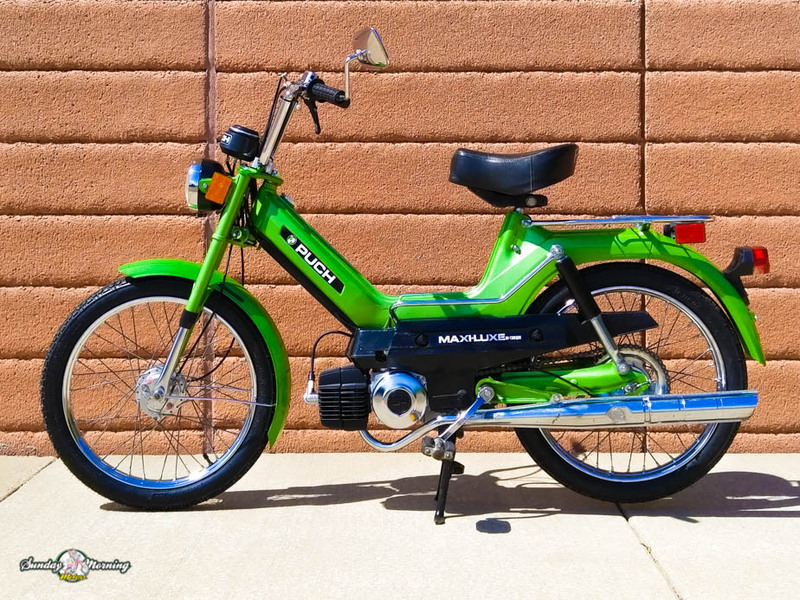 As with all of our reconditioned mopeds, this one has been gone through from front to back with each piece being polished or replaced along the way.